Is Photobucket down or not working? Check out the server status of website and see the on going problems with graph available here. 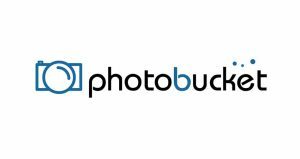 Photobucket is a website which offers hosting for images and videos. You can create slidesshows by selecting photos of your choice. Moreover you can also access Photobucket with your mobile to share or view images or videos. The smartphone apps are available for iPhone, iPad, Windows and Android devices. With your Photobucket.com member account you can not only store photo, GIFs and videos but can also share them. The sharing is allowed on social websites including Twitter, Facebook OR via email. The photo editor tools and Photobucket Print Shop make the service a one point solution for our needs. But it is a worst situation where we all are unable to access the website. However some times the problems can be for only a specific region. If you get an issue today, then you must submit the problem here using the graph above. Have another thing to share with us? Use the comments section below to submit your thoughts about Photobucket.